Knitting lovers we have something special for you! 10 totally free patterns for beautiful, spring perfect knitted flowers are waiting for you bellow. We know how frustrated you are with all those free crocheting patterns out there while knitting ones are rare and tough to find. Well, we are here to help. These flowers are great to add color to your project. Once you start making them you will want to have flowers everywhere. 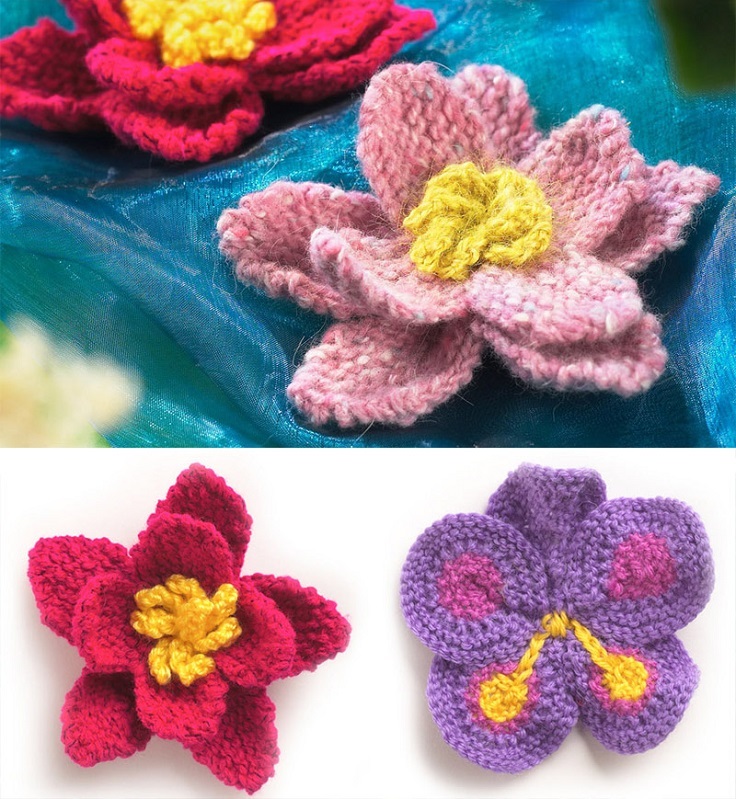 We are sharing patterns for knitted flowers you can use for embellishment, decor or even a nice spring bouquet. Take a look, choose your favorite and start knitting! Feel free to share your projects in the comment section. 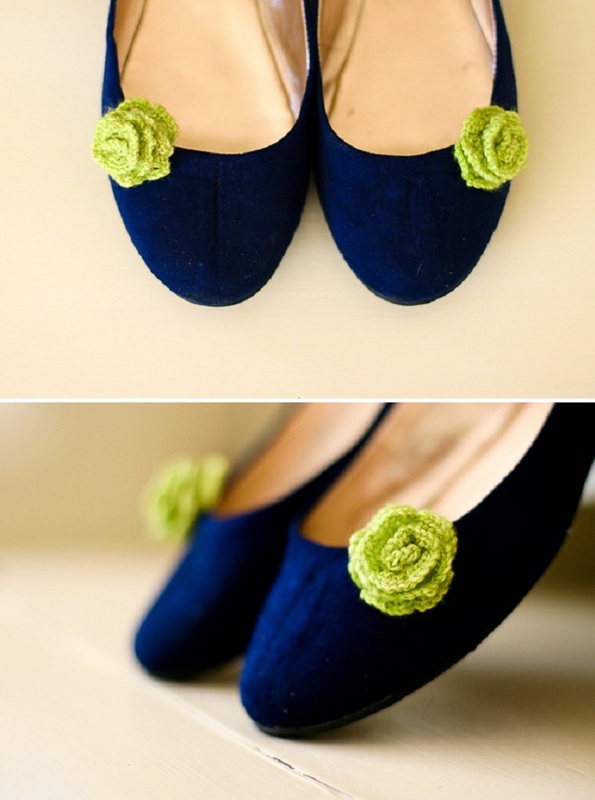 This sweet knitted roses are so versatile – you can use them as a topper for your shoes, bag, headband… The pattern is free and so easy to follow, you can make these cuties in no time! Best thing is you can use any leftover yarn you have and they will turn out perfect. Choose bold spring-inspired colors for a better effect. Are you looking for an easy flower to knit up quickly? Here is the pattern for you. This flower is knitted in one piece and seamless and yet it looks beautiful. 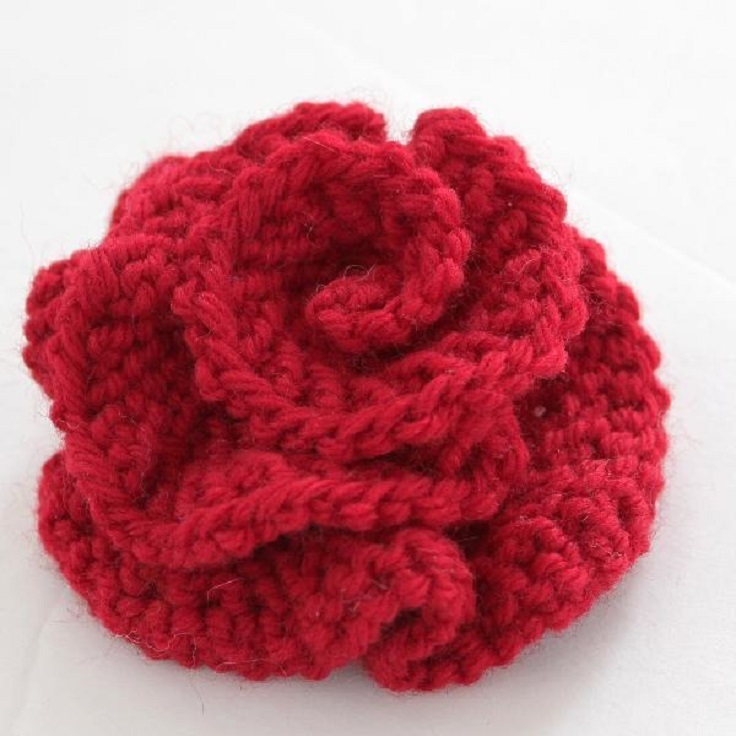 If you follow the free pattern you will get a 3 inch knitted flower with 8 petals. 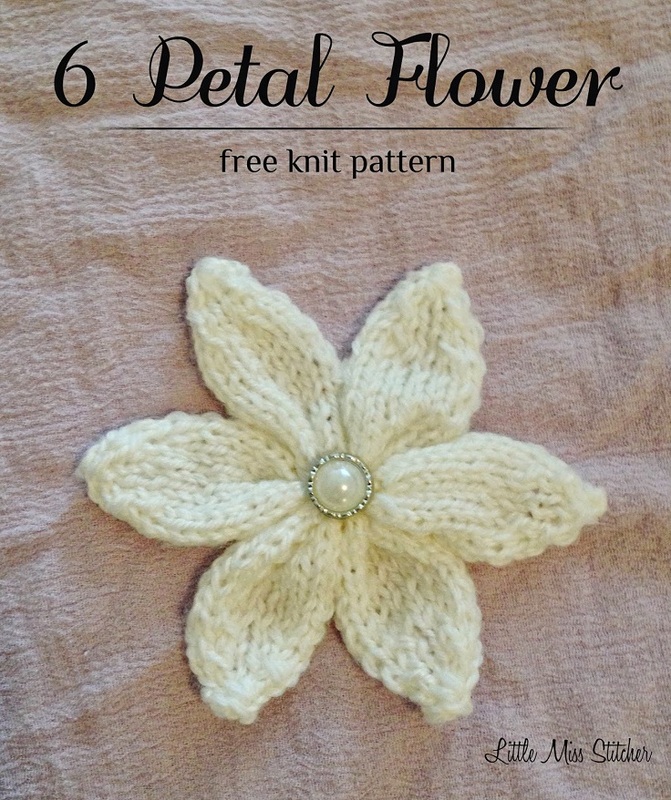 Knitting lovers, here is a sweet little 6 petal flower pattern you will love! This flower is cute, especially with the pearl in the middle. To make it you will need sport weight yarn, size 5 knitting needles, tapestry needle, coordinating tread, bead or button for flower center. 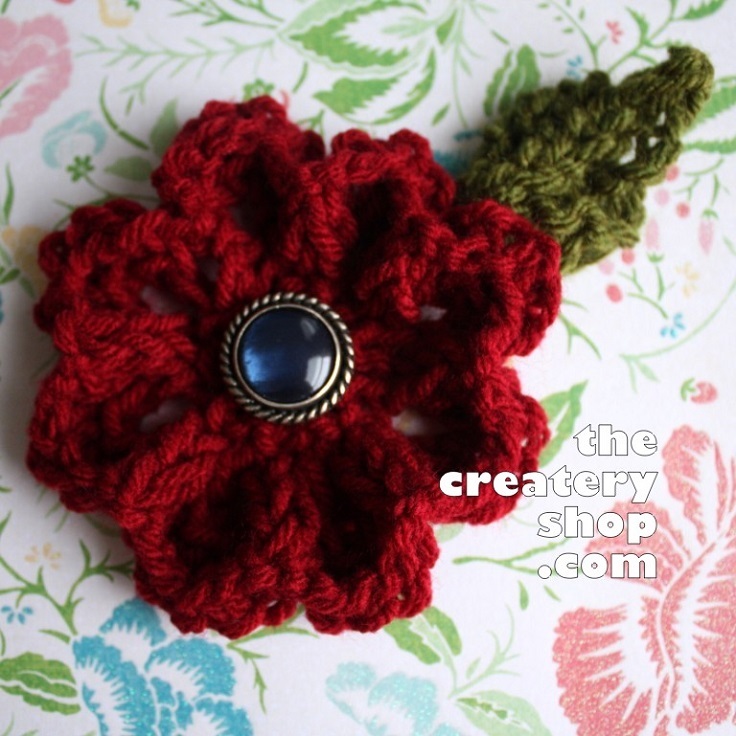 This poppy makes a wonderful accessory to be worn anytime. It is worked flat on 2.75 mm needles in any 4ply or dk (8ply) yarn of your choice and is 2.5 inches in diameter and stands at 6 inches high. What we love is that you can knit the poppy out of yarn scraps. This colorful spring flowers are great for embellishing. You can even knit a basket filled with flowers to decorate a blanket, a pillow case or whatever you wish. They will give the perfect finishing touch for a spring-inspired look. As the title says these small flowers are easy and quick to make. You need very little yarn to make them. 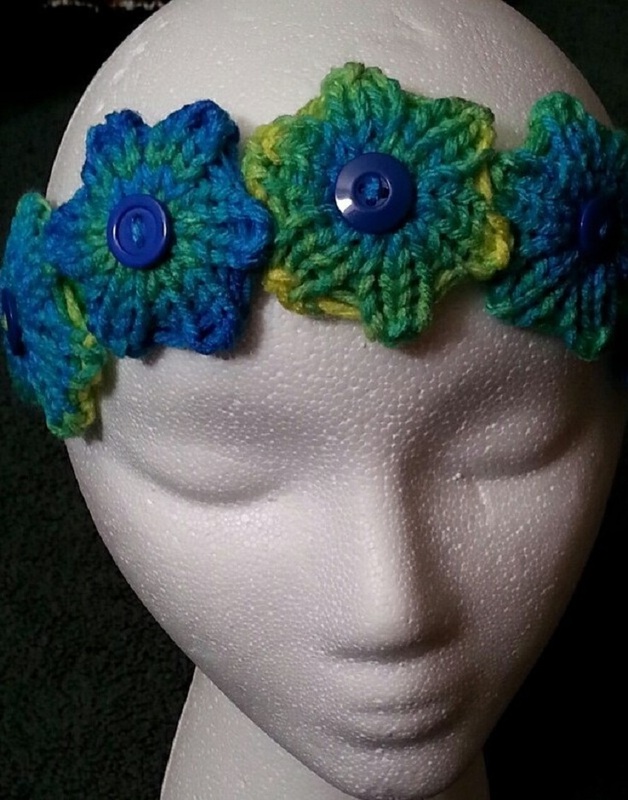 We love the color combination in the photo above as well as the headband idea. Don’t forget to accent with a button. Add a bit of color to your projects with these cute little flowers. Choose a lily or a pansy or simply try them both as choosing one will definitely be hard. We love their 3D look and the bold colors. Great for spring. This spring add flowers to a plain headband and make it a fabulous accessory for you or for a precious little girl. It will look adorable! Not to mention it is so easy to make and it will take just a bit of yarn. So go ahead choose your favorite color and start knitting. What says spring better than crocuses? They are one of the first flowers to appear after the long winter announcing the arrival of warmer and sunnier days. 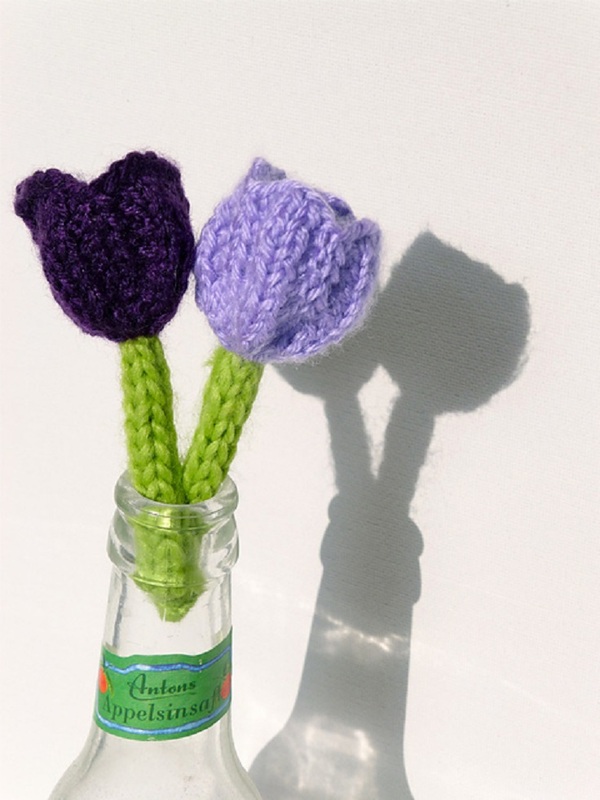 So why not knit a bouquet of beautiful crocuses? They make a cute spring decoration or an embellishment for whatever you want. Easy and fun.